We break down the dynasty potential of two enticing young receivers. When it comes to owning a dynasty team, one of the biggest aspects owners need to master is to accurately value ascending players, especially young wide receivers. Even more important is the ability to take two players of similar value and attempt to project future success. The two players we look at today in March ADP, go right next to each other in most drafts and often are considered reasonably close in value. Rightfully so, as each player has perceived additional targets coming in the 2019 year. With that in mind, let’s take a closer look at Mike Williams and Chris Godwin. 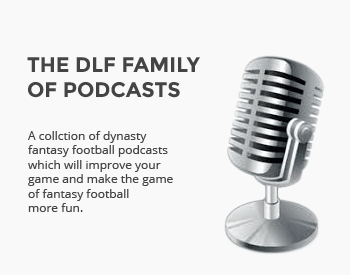 This series of articles is to help dynasty owners evaluate players head-to-head, then use the data to provide player value, depict future production, and break ties between two players when in a startup dynasty draft. Before I begin any of these articles I try to go to the public of twitter and get a read on the general view of these two amazing players. As you see from the link above, each of these players is generally considered to be close in value, giving a slight edge to the emerging Tampa Bay wideout, Chris Godwin. Let’s take a look at the fantasy production of each of these players to see how this perception came about in the community. Tyler is driven to write due to his love of football and numbers. He constantly contributes to the fantasy football community by digging past general statements and looking at the stats. Additional to being into too many fantasy football leagues, he enjoys being a husband, father, and teacher. Weird, I just made a trade a few months back that involved these two players. I the singular owner of both Williams and Godwin decide which one he thee into the deal. It was Williams. “I *let* the singular owner of both” sorry, should have looked over it first. Yes they are very close! Thanks for the read! In the 2017 rookie draft I passed on KHunt for Godwin. Always been a believer in Godwin’s talent but obviously I was kicking myself after seeing how great Hunt was in KC. Now I feel pretty good about my decision! Awesome! I like Godwin but his hype is catching up for sure.